Thermogram of an Ethernet network cable with RJ45 connector. 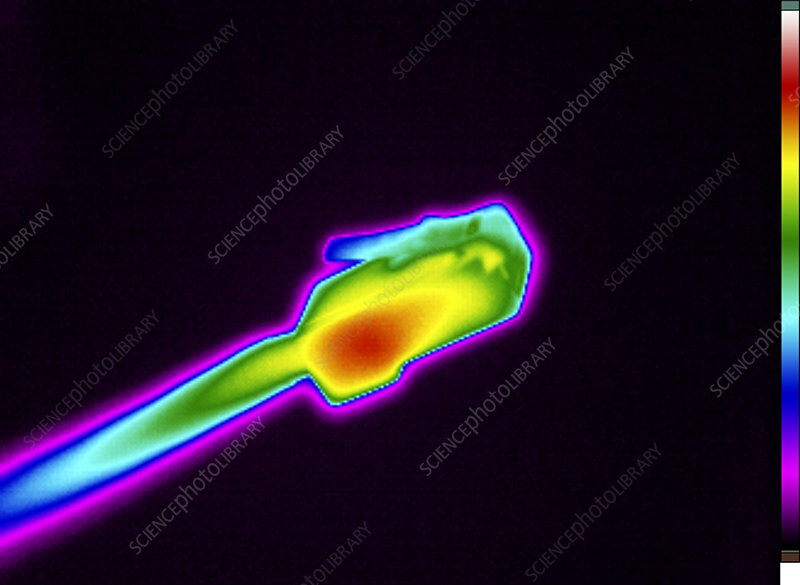 Thermography is a technique for visualizing the temperature of objects by recording the thermal emission at infrared wavelengths. This image was acquired with a specialized camera that uses a focal-plane array of vanadium oxide microbolometers as a sensor. It is sensitive to electromagnetic radiation in the wavelength range of 8 to 14 micron. The camera produces a 320x240-pixel image where different colours correspond to different temperatures.